This week I am back at Sonoma. It is Missoula Theatre week and I am volunteering… selling tickets in the morning and taking pictures in the afternoon. The first day having to be at Sonoma School at 7:30 a.m. I left home with my bed unmade and dishes not put away. I am definitely out of ‘going to work’ mode! The teachers must understand this because each day one of them has greeted me a Starbucks coffee. 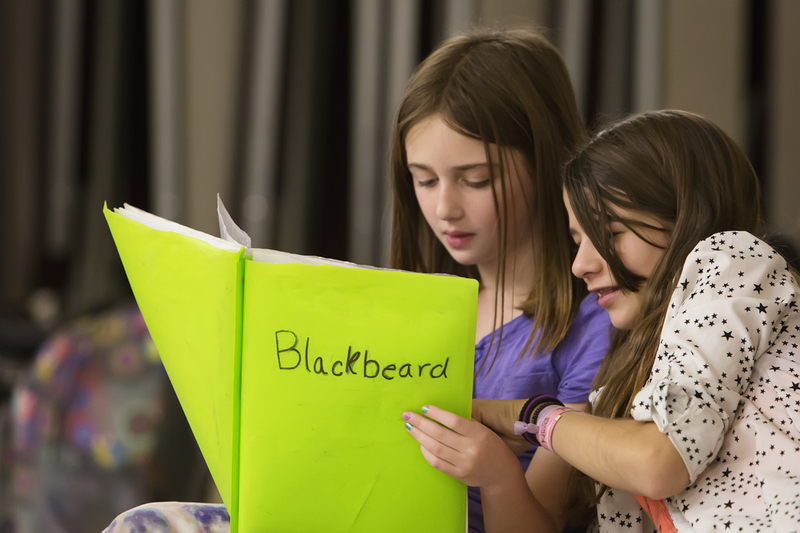 Studying their lines for the play. It has made my week you and Char being there each day! Great picture! If I could only see ur beautiful face sitting at that desk everyday!!! Sonoma isn’t the same without u in the office with char! !! It was incredible having you there this week. I miss seeing the back of your head! Sniff, sniff.